It’s easy to fall in love with turtles. They are awesome creatures and have been around since the age of dinosaurs. It’s very popular to keep turtles as pets in our homes. Setting up the right habitat is crucial for them! This is our 5 step guide to setting up a pet turtle habitat. Most people keep their pet turtles in aquariums but that doesn’t mean you have to. Anything that holds a lot of water will work. Large tubs, plastic pond liners, and anything you can think of. Aquariums are the most popular because you can watch your pet turtles through the tank inside your house and they are easy to buy and setup. *Note: Buying pre-formed ponds is a great way to save a lot of money. This one we listed is 86 gallons of water! That’s pretty large which is great for a couple of turtles. These are cheaper than fish aquariums. The only downside is finding a spot for the pond liner. Without making this too technical.. your turtle needs UV Light to live. This isn’t a “treat” for them, it is a NECESSITY. Your tank will need a light and an area for them to bask in. It’s actually really simple and easy to do. You need to have a docking station(lower in article) for them to crawl out of the water and bask in their lighting. 3. A Heavy Duty Aquarium Filter! Your turtle will live in water and that water will get very dirty. This is where a fish aquarium filter comes in to save you. Instead of having to change that water all the time, you use the filter to do the dirty work for you. Turtles are dirty pets so the bigger the filter the better. Warning- these can sometimes be expensive.. but save a lot of time down the road and help keep your water clean. *Note: We choose to display this filter (emperor 400) because it does a great job at growing beneficial bacteria in the filter itself. This is the “good bacteria” that fight off waste. The filter has a bio-wheel that grows tons of bacteria and is oxygenated non-stop. We love this filter! There are different designs and Setups as far as turtle docks go. No matter what though… you need one! Turtles need to be able to crawl out of the water and get some air and dry off. 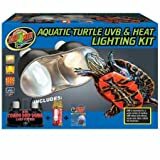 Along with a dock setup for your turtle, comes a heat lamp that gives off UV rays. Without the dock and proper lighting for your turtle to absorb UV.. it will die. 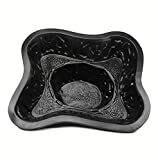 *Note: This turtle dock we listed from amazon.com is super popular because it goes on top of your fish aquarium and not inside of it (like most do). This way you can utilize as much space in the tank as possible with water. And the turtle literally crawls out on top the tank and you can see him in the dock itself. It’s a super clever way of doing this! It’s super important that turtles get the right vitamins for their shells. This is where good quality food comes into play. Pet turtles need certain nutrients to stay healthy. Specific food designed for turtles is mandatory. This food in the image is one of the more popular choices. Are Turtles Safe Pet? Any Diseases? Dirty Smells? Hard to Care for? Arrangement of Plants, Gravel, etc. 1. Are Turtles Safe Pets? Any Diseases? Years ago there was a scare with salmonella and turtles do have the potential to host it but so do all other reptiles. The key is to keep everything as clean as possible and keep really small children from handling the turtles. Wash your hands very well after handling turtles at all times and keep their habitat clean. What was causing most of the issues was small children putting these baby turtles in their mouths and that easily transfers salmonella when present. To be quite honest, it was more a scare than what is actually necessary but.. it worked. You have to know that all reptiles contract salmonella or the chance of it.. and the reptile community is still THRIVING. 2. Super Dirty? Smells? Lots of Upkeep? Without proper upkeep, your turtle cage will create a smell that brings tears to your eyes. But then again.. won’t every pet. Turtles take upkeep in cleaning their cage and filtering their water in the tank. There are some factors to help lower maintenance on upkeep though. Keeping the water as clean as possible by using filters really helps too. Adding charcoal to your water can really help take away the smells away too. Once you get into the community a little bit, you learn lots of ways to make things easier on keeping your turtle tank clean. Figure on your turtle needing a set amount of dry surface versus wet surface. All turtles bask in the sunlight, so there will also be a light over the dry surface. Research what amount your species of turtle needs of dry surface. 4. Feeding Pet Turtles and Food? Research what your species of turtle feeds on in natural habitat and then resemble that for your cage. It’s important that you force your turtle to eat actual food designed for them because it is full of vitamins they need. It is the best food mixed with other treats and such. Try to also research nutrition to help make sure your reptile has proper health. General pet stores and even walmart sell turtle food that is getting better everyday. They have dried up worms that work descent but I suggest looking into some more natural foods. Live fish can’t be beat and it’s really not that hard to do. Most turtle owners keep live fish in their tank because they survive just fine. You will find that most turtles love live fish and having that natural protein available really benefits your turtle. The hardest part of caring for a pet turtle is getting all of the components needed for their habitat. Don’t be scarred though because I’m going to make this easy on you and I’ll steer you away from all the “advertising sales gimmick” equipment. Alright though.. Let’s get started. You will see a lot of fish aquariums being used as a habitat. They do work but if you plan on buying a larger one they can be quite expensive. The best option available is to use a pre-formed pond liner. They are large and they are a lot cheaper than fish aquariums. It gives the turtle much more space and they are plastic and more durable than glass. Here is a popular one on amazon.com that I own and am very happy with. Turtles need enough room to grow so make sure your tank is large enough. A lot of freshwater species of turtles can grow to 12″ long. The 20 and 30 gallon aquarium sizes are going to be a bare minimum of what you can use for housing turtles. We get a lot of emails asking if 5 gallon aquariums work for turtles. The answer is a NO because they are too small. Empty the tank you plan on using for your turtle tank. Do not use any chemicals when it comes to washing the tank. Pure water is the only think you want to use. Buy aquarium safe sponges from pet stores to wash out your aquarium. Scotch brite pads and similar abrasive like pads scratch glass and then algae grows in those cracks like crazy. Just rinse and rub with pure water. Keeping it as simple as possible eliminates unwanted additives to your tank. When choosing what rocks to use, make sure your turtle cannot consume the rocks. The larger the rocks the better. Not that your turtle is for surely going to eat them… it’s just a safe precaution to take when setting up your tank. When turtles are younger, they may snap at prey between rocks and accidentally catch a rock in their mouth. Rinse your rocks before putting them in your aquarium very well. Just to make sure all debris and bacteria is removed. I would advise getting some live plants for your tank just because it really adds to the ecosystem setup of the tank. Waste from food and turtle waste create ammonia in the water which decreases the oxygen levels in the water. Live plants consume carbon monoxide and turn it into pure oxygen. Your pets in the water aquarium will be much happier then they would with fake plants. There are different designs and Setups as far as turtle docks go. No matter what though… you need one! Turtles need to be able to crawl out of the water and get some air and dry off. Along with a dock setup for your turtle, comes a heat lamp that gives off UV rays. The type of lighting is also very important for the turtle basking. Your light needs to be a UVB bulb. It’s really more simple than you think. All you have to do is buy the type of light and point it at the basking area. Here are some Amazon links and products you could buy. The light is also used to absorb heat as well. So remember that if your cage is very large.. you may need a higher wattage bulb. The question comes up all the time if turtles need filters for their water. I highly advise using a filter just because the cleaner water gives your turtle a more healthy habitat to thrive in. Dirty waters can kill any aquarium species very fast. When buying a filter, always buy around 3-4 times the amount of water volume your aquarium actually is. Example, if your tank is 20 gallons .. You should buy a filter designed for 40 gallons. This will make your water more clean and save you hours of time cleaning the water by hand in your fish aquarium. A heater is needed for the water inside your aquarium. The water should be between 75-80 degrees Fahrenheit. Some think that turtles don’t need the water that warm but I would advise a heater just to make sure the levels don’t get too cold. Also, be aware of a heater that is not fully submersed under water. Sometimes they crack when not fully submersed under water. Water that is used from a faucet should always be treated with a conditioner. What is harmful to fish and turtles is the chlorine in the water. You can either let the water sit by itself for 24 hours to dechlorinate itself or you can use conditioner to use the water right away. They make different vitamins for turtles that are vital for them to have. The reason for needing vitamins is due to lacking certain variables that the turtle would get in natural habitat. Depending on what turtle species you have will depend on what nutrients and vitamins your turtle needs. They need certain vitamins for their skin and shell. Because without their shell stregth, they are very prone to further sickness. I always urge people to put live fish in their turtle tanks just to give a real habitat feel to the turtles. If they want they can even take a bite at the fish and get some well needed nutrients of live food. Some persist not to use live fish in turtle tanks because it drives aggression to your pet turtles. I’m a believer in not running away from the idea of where your turtle came from… the wild. Totally your call on this one. When doing some “pet turtle” research, you will find lots of warnings regarding salmonella. Younger turtles are actually more prone to this and its now illegal to sell turtles under 4 inches in diameter. There are precautions that need to be looked at but a person can safely have a pet turtle any day of the week. Turtles are holders for salmonella at times and it is specifically dangerous to younger kids and weak immune systems. It is very important to keep everything as clean as possible for your turtle living habitat. After handling turtles, hands need to be washed immediately with soap and water. Salmonella can live on any surface for a given amount of time. Children can then touch that surface and become effected. This is the case with any real reptile kept in an aquarium. Turtles live long lives and having them as a pet entails a lot of commitment. It’s very common for a turtle owner to let their pet become “old news.” Lacking to add fresh water, not changing aquarium filters, forgetting to feed the turtle and so forth. Owning a turtle is not a 3 month hobby that you can just set aside. It’s important to take this idea into account. Turtles are one of the oldest creatures on the planet. It is said they are the most related to dinosaurs still around today. Marine turtles easily live 100 years. Most of your smaller species will live up to 10 years pretty easily. This might be something to think about if your in this for the long haul or just the ‘cool phase’ of owning a pet turtle. The first year really seems to weed out those that are serious about keeping pet turtles and those that CANT HACK IT. If you can’t see yourself caring for your turtle cage in 4-5 years… than maybe re-think your decision here. You probably can’t find that turtle to buy because it’s more common name is “Golden Coin Turtle” and they can be bought in a lot of places. I did a quick search for here in Minnesota and I could find them in no time. You may have to go for a drive depending on where you live but you can find them. Where are you located? I’ve never seen this turtle and it’s cool you brought it to our attention. Good luck finding your turtle! Can I mix a turtle with other pet fish and have both in the same tank? I have a red eared slider and was wondering if he would eat the fish it it came down to it..? With the right tank setup, this can easily be done. Just remember that your beautiful pet fish could easily become dinner or breakfast for a turtle. All scenarios are different but this setup can work out awesome and I’ve seen it many times. There is no reason why fish can’t survive in your tank setup. It is a good idea to have a couple of fish filters going and that will benefit your water clarity for the turtles and fish at the same time. Maybe look into getting a feeder fish that is still cool to look at but very nutritional for your turtles. Some people will argue this is immoral but .. it’s a way of life. It would happen in natural habitat so.. I don’t see a problem. What size tank do I need for a turtle? This is the downfall of having a pet turtle. Just because you can’t put a turtle in a small box as a cage and walk away. They need room to move around and especially if they are past their youth age. Aquarium size requirements start at 40 gallon breeder tank. The 40 gallon breeder is said to be the bare minimum size that a person needs to house ONE turtle. If you want more than one turtle than you should probably get a 55 gallon and even then that will still be crowded. They make lots of unique styles of “breeder” series of tanks that are more short and spread out which is best for turtles. It makes no sense to have a high or tall aquarium when the turtle can’t even utilize that space. How Can I save money on setting this all up for a cage? I was thinking about getting a more exotic species like an alligator snapper. I have heard really cool stories about them even though they are mildly dangerous to own. If you decide to go with a fish aquarium as your habitat setup, it will cost more money. There are ways to save money in different ways for turtle tank setups. A person can make a homemade cage and save money but it might not be as nice. Pond liners are cheaper than aquariums as well and make for great cages for turtles. A lot of people prefer aquariums though because you can watch your turtles from the sides with the human eye and also keep them in a bedroom if you desire. If you catch Petco at certain times, they have a $1 per 1 gallon of water for aquariums SALE. 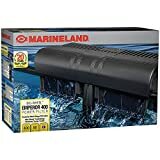 So you could get a 40 gallon breeder tank for $40 which is super cheap. You can also buy aquariums used for a lot less money and this is a very popular route to go too. *P.S. I also own other reptiles like snakes, geckos, frogs, and more. I gave my turtle the name of Hercules after seeing the thread on turtle names for boys and girls. Here is a good website for finding geckos for sale and how to find descent quality ones. Reptiles are a big deal when it comes to buying quality species. Cork Bark for Turtle Tank? Basking, Dock, Flats? Turtle Sand? vs Gravel Better Substrate? White Worms in Turtle Tank? Get Rid Of? Copyright © 2019 Pet Turtle & Tortoise Guide with Community.